A non-firing copy of the 'peacemaking' original, well known to all western history aficionados. 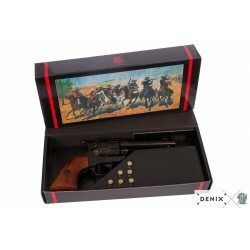 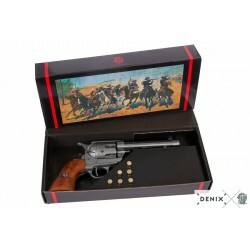 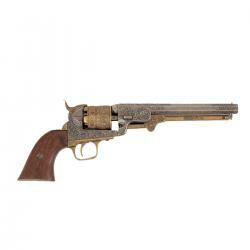 The Pistol is exact in every detail and is as used by John Wayne in his early films!!! 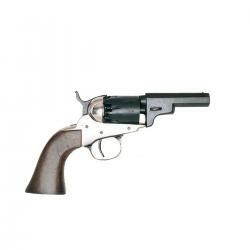 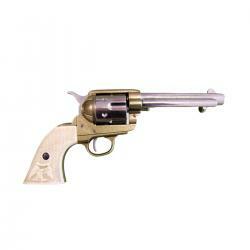 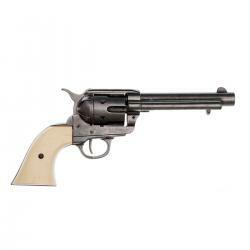 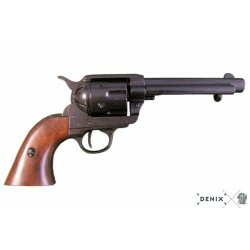 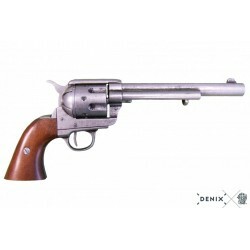 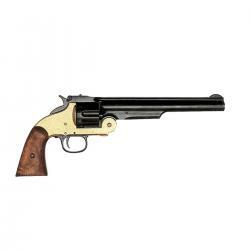 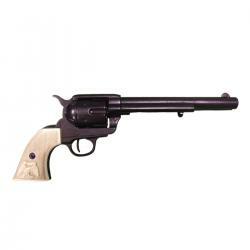 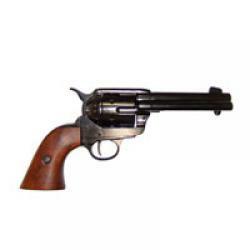 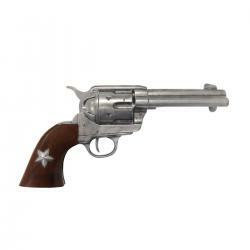 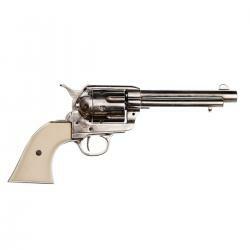 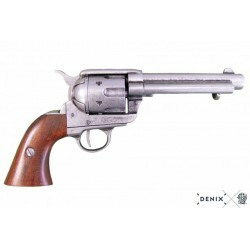 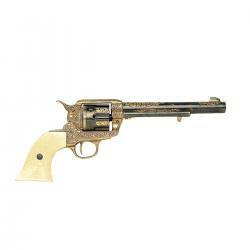 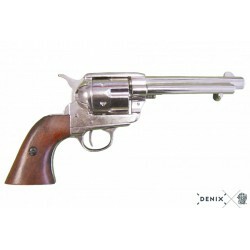 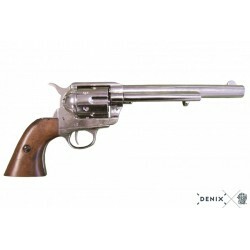 It is a .45 caliber, single action revolver with working action and spinning cylinder. 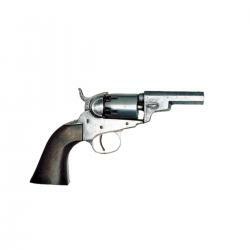 Same as is seen in nearly EVERY western film ever produced! 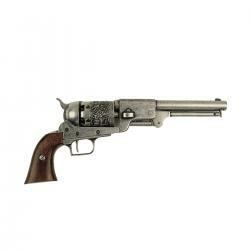 This piece replicates the original in size, weight and appearance, and the parts function much like the original. However, parts cannot be interchanged or the replica made to fire ammunition. 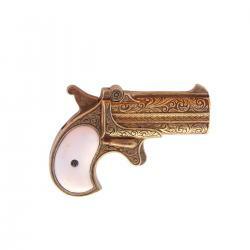 Our holsters are ideal for wearing one or two Peacemakers and dummy cartridges are also available.